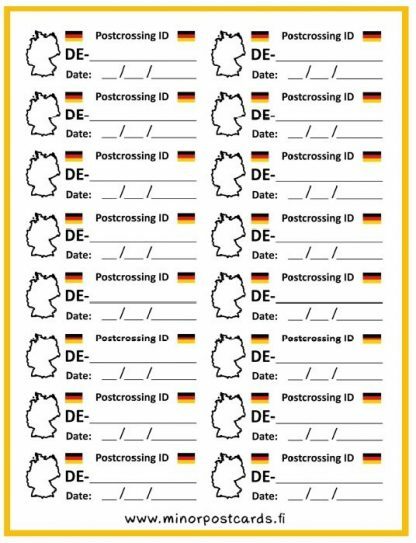 A sheet of German ID stickers! 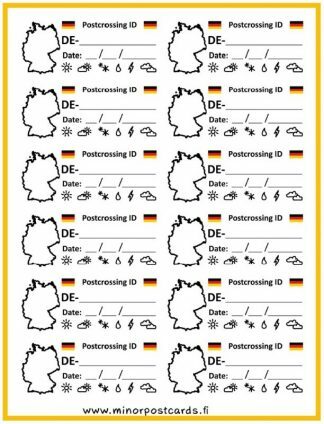 On sticker you can write the Postcrossing ID number, date and mark out the weather. 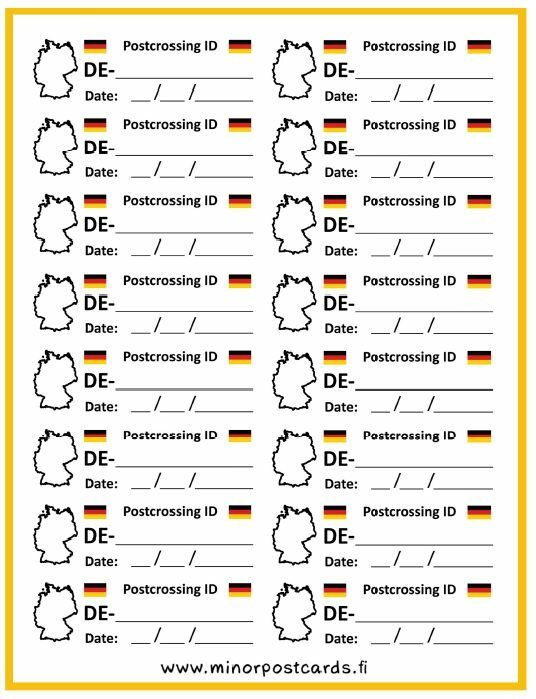 Also remember to place your home on the map of Germany. Pen writing sticks well on these glossy stickers. 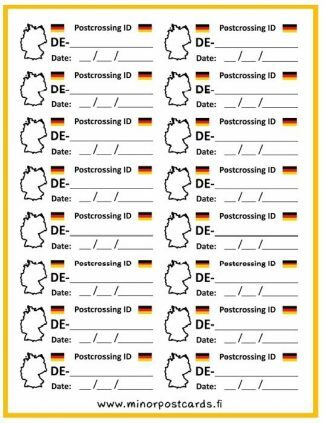 Most pens write well on the surface, but there are differences when writing on glossy material so it’s a good idea to test pen on the border area before writing the official ID. The glue on stickers is strong and it is safe to use these. 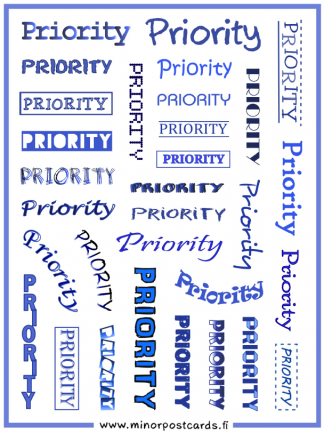 The size of a sticker is perfect for a postcard, it leaves enough space for writing. The size of the sheet is 9,5 cm x 12,5 cm and there are 16 stickers on it, the size of a sticker is 1,3 cm x 4,1 cm.